Event Description Pre-registration is now closed for this event. Walk ins will be accepted based on availability. Join the Palm Beach North Chamber of Commerce for our monthly breakfast on Wednesday, January 18, 2017 at the Palm Beach Gardens Marriott. This year's State of the County program will feature County Administrator Verdenia Baker, who will provide an update on accomplishments of the County over the past year as well as plans for the future of the County. County Commissioner Mack Bernard will also be in attendance providing an introduction of Ms. Baker. 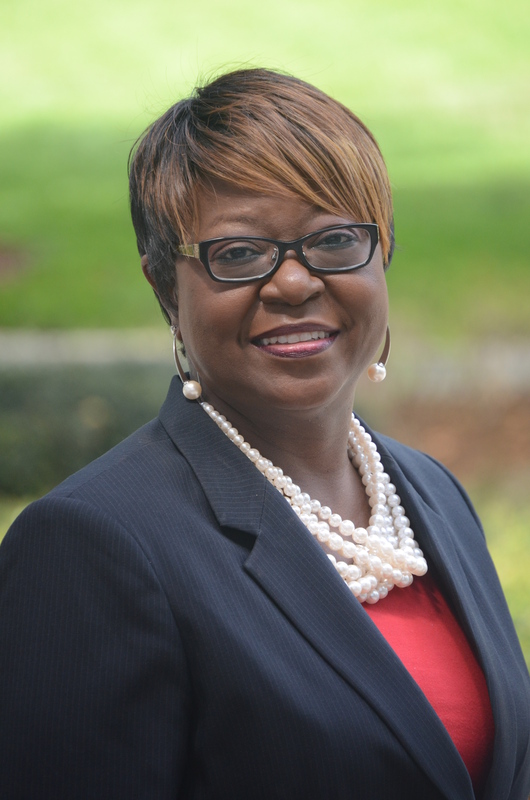 As County Administrator, Verdenia Baker, a Certified Financial Manager, is responsible for administration of the policies of the Palm Beach County Board of County Commissioners. She manages the daily operation of county government, which includes more than 6,000 employees and a budget of $4 billion. Palm Beach County is one of the few counties in the nation with AAA bond ratings and has a population of more than 1.3 million persons. Verdenia began her career with Palm Beach County in 1987 as a Budget Analyst; she then was promoted to Impact Fee Coordinator and eventually became the division director of the County's Financial Management Department. Her experience as a financial manager was a prelude to her promotion to Assistant County Administrator and one year later to Deputy County Administrator. She served as the County's liaison and lead negotiator on the successful recruitment of The Scripps Research Institute resulting in a growing bio-technology industry in Palm Beach County. In addition, she is instrumental in the development and implementation of the Mandatory Inclusionary Workforce Housing Program, Community Land Trust of Palm Beach County and the Growth Tiered System for the County. She was responsible for Redistricting of County Commission Districts in 2000 and 2010. Verdenia collaborates daily with representatives of other jurisdictions, developers, private industry, civic and community organizations on issues of interest pertaining to county business. She represents the county on regional initiatives involving private and public sector entities on special projects including, but not limited to, two (2) Super Bowls in 2001 and 2007 and the Third and Final Presidential Debate of 2012. Fiduciary responsibilities remain on the top of her agenda as she reviews and approves departmental and agency budgets before passing them to the Board of County Commissioners for approval. Verdenia holds a Master of Science Degree in Public Administration, Bachelor of Science Degree in Rehabilitative Services, both from Florida State University. She has affiliation with several professional and community organizations including but not limited to serving as the Immediate Past President of the Executive Board of the National Forum for Black Public Administrators (NFBPA), Former President of American Society for Public Administration (ASPA) Treasure Coast Chapter; Member of the Board of Directors of Black Chamber of Commerce; Member of the Executive Women of the Palm Beaches, Former Vice Chair and member of the Board of Directors of St. Mary's Hospital; Board Member of the Florida Association of Counties for County Administrators, Member of Delta Sigma Theta Sorority, Inc., Member of Deacon Ministry Tabernacle Missionary Baptist Church; Mentor for the Women of Tomorrow Mentor Program and Former Member of the Board of Directors of the Business Loan Fund of the Palm Beaches; Former member of the Band Parent Association of Suncoast High School. She has received numerous local and national professional and civic awards. Mack and his wife Shawn are raising their three daughters here and are very proud to be part of the Palm Beach County Family. As a real estate and tax attorney, Mack Bernard works to help others achieve the American Dream. Mack has put his life's work into giving back to our community and serving this great county.